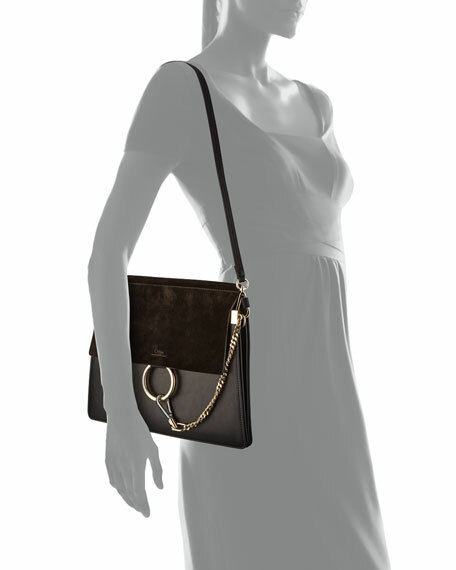 Chloe suede and soft leather shoulder bag. Flat shoulder strap with 17.5" drop. 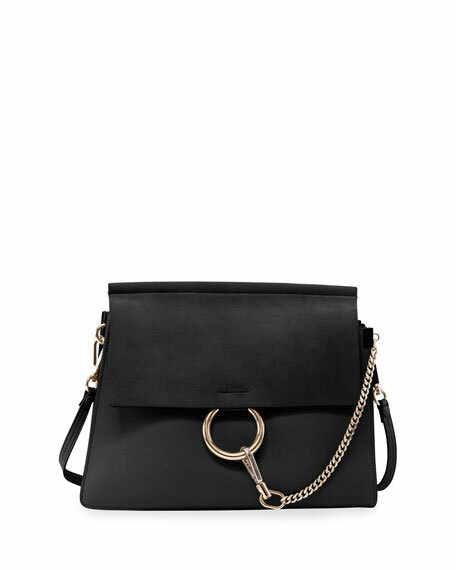 Flap top with chain-clip and ring detail. 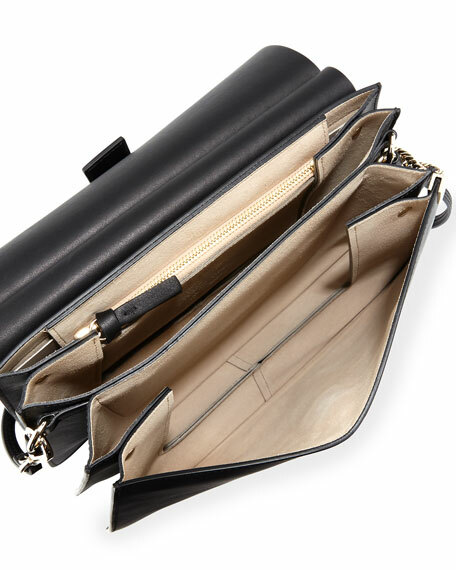 Interior, suede lining; three open compartments; one slip pocket. Approx. 10.3"H x 12.6"W x 1.8"D.